There are many ideas for meals for children that contain plenty of iron. A bowl of iron-fortified cereal with low-fat milk and kiwifruit or berries. Scrambled eggs with whole grain toast and sliced tomato. Whole grain toast with peanut butter and a berry smoothie. Whole grain toast and baked beans or sardines, and an orange or kiwifruit. A filled wholemeal roll with lean beef, baby spinach leaves, tomato and grated carrot. 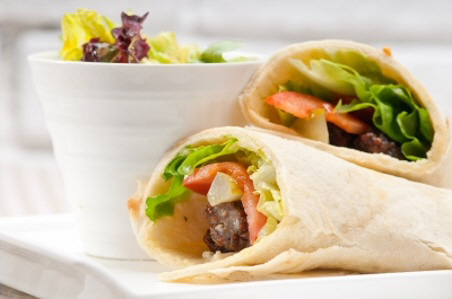 Pita bread filled with lean lamb or hummus, lettuce, tomato and avocado. Wholemeal wrap with tuna or red salmon, lettuce and grated carrot. Mini meatballs or falafel and pasta. Baked beans or scrambled eggs on wholegrain toast and an orange. Fish pie with potato topping, and vegetables. Spaghetti Bolognese and a salad. Steak and kidney pie with potatoes and vegetables. Chicken stir-fry with broccoli, red capsicum and noodles, topped with sesame seeds. Lentil dhal, rice and broccoli. Mini burgers with falafel and salad. Follow your meal with a piece of fruit or a fresh fruit salad. This will help your child's body to absorb the iron in their meal. Cheese and Marmite sandwich and a mandarin. Three to four whole grain crackers with hummus and sliced tomato. Chopped vegetables such as capsicum, carrot, celery with hummus, cottage cheese or a yoghurt-based dip. A small handful of nuts (for children aged 5 and over) and an orange. A peanut butter sandwich and a kiwifruit. Written by HealthInfo clinical advisers. Endorsed by Community Paediatric Dietitian, Nurse Maude. Page created October 2017.